Engaging and marketing to existing customers has always been a challenge for many e-commerce firms. 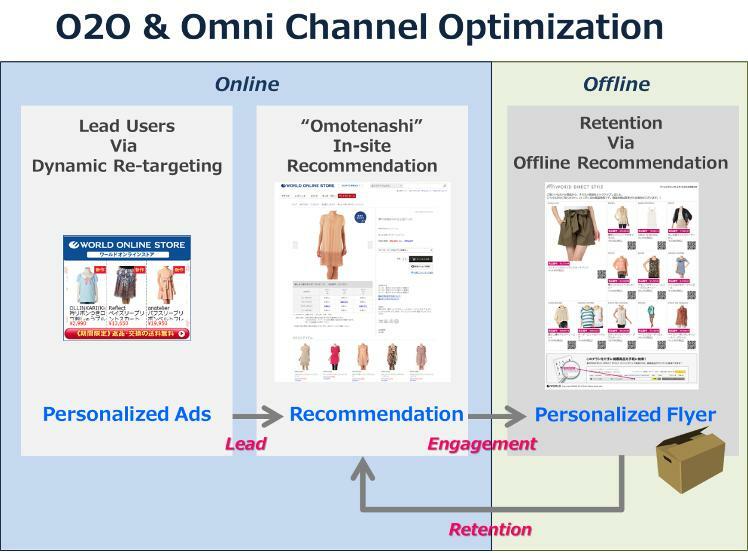 While many online shoppers do look at recommended as well as matching products when they are browsing, there is generally little effective engagement effort by e-commerce firms to retain customers after the purchase is made. Now, Scigineer aims to change that with its new online-to-offline (O2O) print-on-demand system, deqwas.POD. A Japanese firm that provides recommendation solutions based on online user behaviour, Scigineer’s patent-pending deqwas.POD platform provides recommendations to consumers in the form of a flyer, packaged together with the items they ordered from e-commerce stores. deqwas.POD leverages on Scigineer’s current deqwas recommendation engine, which utilises a patented algorithm to analyse user behaviour information and output recommendations related to a user’s interest, and which also combine well with the items that have been ordered. Among the first users and testers of deqwas.POD is WORLD, a Japanese women’s fashion brand. Data gathered by Scigineer reveals that using deqwas.POD, WORLD was able to increase its re-purchase rate by 47 per cent within two weeks, as well as raise its average revenue per user by 15 per cent. While deqwas.POD is currently only available in Japan, Scigineer has plans to bring it to South East Asia. It has started working with MicroAd to provide dynamic re-targeting of ads using its own recommendation engine in Vietnam and Indonesia.With deqwas.POD, Scigineer envisions a total e-commerce engagement solution, with dynamic re-targeting ads holding the attention and interest of the user, in-site recommendations establishing user engagement, and print-on-demand reinforcing engagement and taking care of user retention. The post Scigineer launches print-on-demand system for e-commerce players appeared first on E27.